The perfect cloud-based partnership for your business. 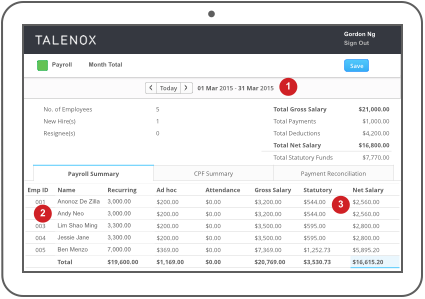 Your payroll entries are automatically mirrored onto your ledger 100%. Say goodbye to unnecessary data entry errors. 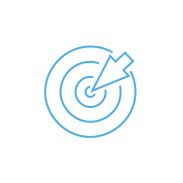 Streamline your processes to a single click of a button. Save your precious time for more important things. Stay organised with the perfect end-to-end business solution for your payments and accounts. 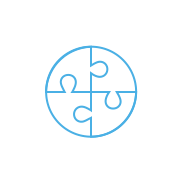 Talenox is built to scale with your company at a fixed rate without compromising service quality.  It takes just minutes to connect your Xero account to Talenox. Once setup is complete, you will notice a big difference in time spent on your accounts. 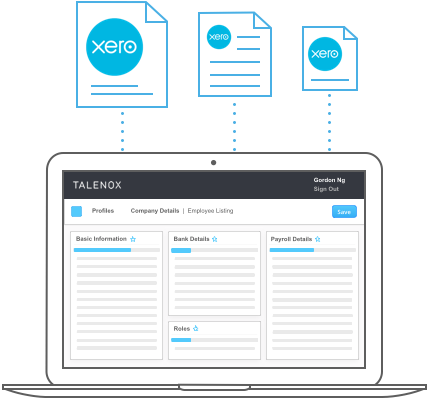 With your employee listing available on Xero, Talenox makes it easy to export the payment information for all employees to your Xero account. 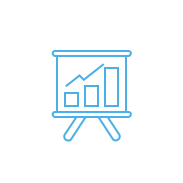 Xero assigns every Talenox client a default Chart of Accounts. 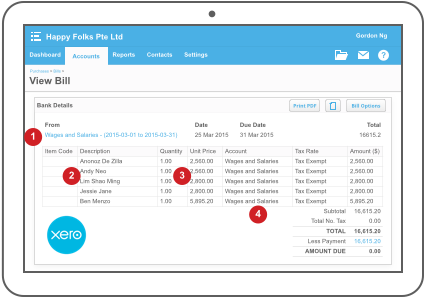 Send your confirmed payroll to a General Ledger which will then be posted to Xero's Chart of Accounts. 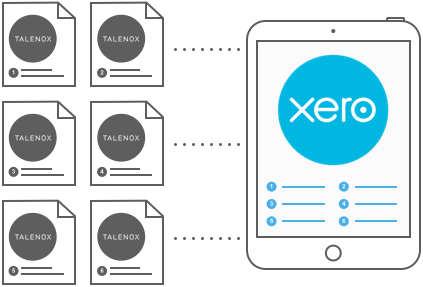 Talenox categorises your payroll into specific pay items such as salaries, wages, taxes, overtime, and other payment items which are imported into your Xero ledger account. Process specific pay periods for different pay groups. With exact breakdown of each employee's pay. Deductions such as taxes are calculated. Accurately link payment to Chart of Accounts. ✔ It's all online, so you can work when and where you want to. Just login with your PC, Mac or mobile. ✔ Your bank statements are automatically imported and categorized, letting you see your cashflow in real-time. ✔ Invite your team to work together. You can collaborate on updating and publishing your financials. 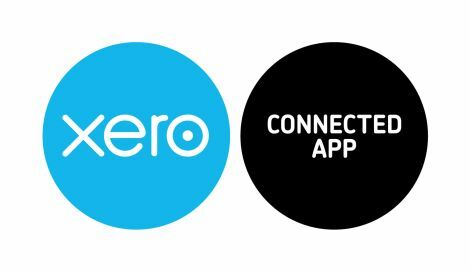 ✔ Xero has all you need to manage your accounts, such as invoicing, paying bills, sales tax returns, reporting and much more. 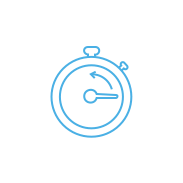 Find out more by contacting us, or try Xero Accounting Software free.